Note: Plated Appetizers, or Courses, Are Not Listed Here – and are selected with the client after an entree is determined. Or request your own pizza topping combinations. Definition: Pate Brisée: savory pie dough made w butter, flour, salt and water. 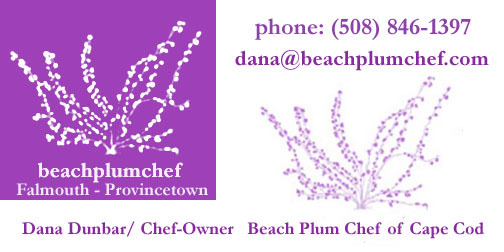 Chef Notes: *The majority of these appetizers are made with Beach Plum Chef Recipes – some of which are adapted, some are original. Menu Copyright Beach Plum Chef March 2012, All Rights Reserved. Please do not reproduce without written permission.